Get ready to rock around the Christmas tree as one of Santa's little helpers in our enchanting Ladies' Elf Dress Costume. 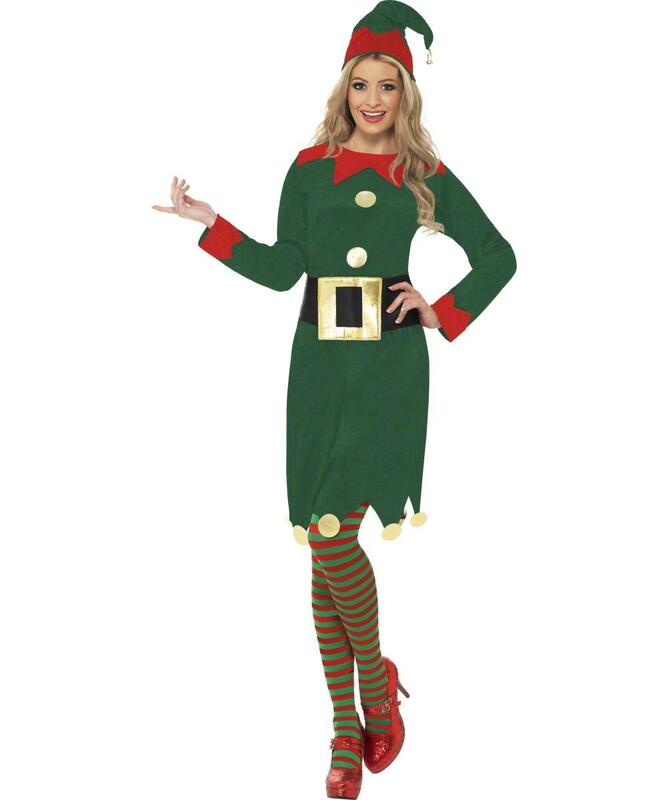 If you are feeling festive and want to look like the cutest elf on the block then our womens' elf outfit has everything you need to perfect the look. Included is a dark green dress with long sleeves, red collar and cuffs, black waistbelt with gold buckle and gold button decoration to the front and skirt hemline. To finish the enchanting elf costume there is a green pointed hat with red trim and bell decoration. A cute Christmas costume to get you in the festive spirit for your office Christmas party or to get the children excited for December 25th.